We believe so strongly in the powerful super-nutrition of Trévo, we have dared to compare our product against some of the market’s leading brands. What we found is that the number of powerful, life-giving nutrients contained in Trévo far exceeds the seven most popular wellness products. With its 174 natural ingredients, Trévo is quite simply without equal when it comes to full-spectrum nutrition and health benefits. And with its astonishing ORAC and CAP-e antioxidant testing results, Trévo has, once again, confirmed that its nutrient-dense formula is in an entirely separate category far and above juice drinks or other types of nutritional products. In fact, CAP-e testing shows that the antioxidant nutrients in Trévo are so powerful that just a half ounce provides measurable cellular protection! But what about cost? Get ready to be surprised because in addition to Trévo being the most nutrient-dense product on the market, the cost of enjoying Trévo on a daily basis is practically impossible to beat. There’s literally no another product like it anywhere or at any price. In fact, you could easily spend over $500 USD a month trying to get the same quality and quantity of ingredients that you get in one bottle of Trévo. Antioxidants are substances that may protect cells from the damage caused by unstable molecules known as free radicals. Antioxidants interact with and stabilize free radicals and may prevent some of the damage they might otherwise cause. Examples of antioxidants include beta-carotene, lycopene, vitamins C, E, and A, and other nutrients abundant in fruits and vegetables as well as in other foods including nuts and grains. Daily use of Trévo™ provides your body with high levels of these antioxidants from multiple sources to inhibit and slow down damaging free radical processes. This is of particular importance because, according to research published in the New York Times, free radicals have been linked to diabetes, heart disease, cancer, arthritis and about 60 other diseases. They are also considered to be a primary cause of premature aging. Bioflavonoids are a group of naturally occurring plant compounds, which act primarily as plant pigments and antioxidants. They exhibit a host of biological activities, most notably for their powerful antioxidant properties. Bioflavonoids work with other antioxidants to offer a system of protection. Numerous studies have shown their unique role in protecting vitamin C from oxidation in the body, thereby allowing the body to reap more benefits from vitamin C.
Bioflavonoids are a subset of a larger group of beneficial plant substances known as polyphenols, and are present in botanical foods and supplement products. In fact, many medicinal herbs owe their curative actions to the bioflavonoids they contain. Besides the important antioxidant effects, bioflavonoids help the body maintain health and function in many ways. They have been shown to be anti-mutagenic, anti-carcinogenic, anti-aging, and promote structure and function in the circulatory system. Recent scientific breakthroughs confirm that these powerful nutrients are an important part of a healthy diet. Studies from around the world support the fact that diets high in bioflavonoids are associated with lower incidences of most diseases. Along with other phytonutrients, the health benefits of bioflavonoids are one reason why the National Institutes of Health and the U.S. Surgeon General’s office advocate the intake of several servings of fruits and vegetables every day. Citrus bioflavonoids are those bioflavonoids, or flavonoids, found in citrus fruits such as lemon, orange, tangerine, grapefruit, etc. These substances possess antioxidant activities, which help fight poor health and aging. Citrus bioflavonoids have been investigated for their biological activity, with both anti-inflammatory and anti-carcinogenic effects being reported. Out of the ten garden vegetables included in Trévo™, we have included five varieties from the special group of vegetables called cruciferous vegetables. These are known for their excellent cancer-fighting properties. Research suggests that these cruciferous vegetables contain phytochemicals known as isothiocyanates, which stimulate our bodies to break down potential carcinogens. They work by preventing the transformation of normal healthy cells into cancerous cells. The cruciferous vegetables found in Trévo™ include broccoli, Brussels sprouts, cabbage, cauliflower, and kale. An excellent example of the super-nutritional benefits of cruciferous vegetables is found in broccoli. Broccoli contains sulforaphane, a natural chemical that stimulates the body to produce enzymes and destroy carcinogens. Broccoli sprouts are particularly rich in sulforaphane, containing approximately 20 to 50 times more of this natural chemical than mature broccoli. Put simply, cruciferous vegetables have it all: vitamins, fiber, and a wealth of disease-fighting phytochemicals. The sole purpose of digestive enzymes is to break down foods, allowing their nutrients to be absorbed into the bloodstream and used in body functions. They ensure that we get the greatest possible nutritional value from foods. Digestive enzymes are secreted along the gastrointestinal tract and break down the food in the body so that the nutrients can be absorbed. However, if your body has to rely too much on its own digestive enzymes the result is that more stress is placed on your system and organs, leaving less time and energy for other jobs such as rebuilding and replacing damaged cells and tissue and keeping your immune system strong. Bromelain, an ingredient in Trévo’s™ proprietary blend, is a mixture of enzymes found naturally in the juice and stems of pineapples. Called a proteolytic enzyme, bromelain appears to be very beneficial in the digestion of protein. Trévo™ also contains Betaine HCL which, although not an enzyme, does serve a critical function by increasing the hydrochloric acid content of the upper digestive system, thereby promoting the body’s manufacture of a necessary enzyme called pepsin. Pepsin breaks proteins down into peptides. Betaine HCL also serves the function of maintaining a low pH in the stomach, which allows the body to kill many harmful bacteria and micro-organisms. Essential fatty acids (EFAs) are necessary fats that humans cannot synthesize, and must be obtained through diet. There are two families of EFAs: Omega-3 and Omega-6. EFAs support the cardiovascular, reproductive, immune, and nervous systems. The human body needs EFAs to manufacture and repair cell membranes, enabling the cells to obtain optimum nutrition and expel harmful waste products. A primary function of EFAs is the production of prostaglandins, which regulate body functions such as heart rate, blood pressure, blood clotting, fertility, and conception. They also play a role in immune function by regulating inflammation and encouraging the body to fight infection. Essential fatty acids are also needed for proper growth in children, particularly for neural development and maturation of sensory systems. Trévo™ contains borage seed oil and flaxseed oil, both of which are rich vegetarian sources of these vital essential fatty acids. The health benefits of fruits from some of the most exotic and far-flung corners of the world have been recognized by different civilizations for many thousands of years. In recent years, a myriad of these exotic fruits have been studied by the scientific community due to their powerful health-giving properties. Trévo™ contains fifteen well-researched exotic fruits including maqui berry, amalaki fruit, schizandra fruit, borojo fruit, goji fruit, noni, mangosteen, acai berry, gac fruit, camu camu, pomegranate, star fruit and acerola cherry. Free radicals produce harmful oxidation that can damage the membranes of cells. By definition, they are atoms with at least one unpaired electron. A good analogy would be that free radicals represent the criminal element in your body and antioxidants represent the law enforcement element. If left alone, free radicals produce damage and chaos. Daily use of Trévo™ provides your body with high levels of antioxidants from multiple sources to inhibit and slow down this damaging process. Herbs represent thousands of plants that have traditionally been used by cultures around the world as both medicine and food. In fact, herbs have been used by the Chinese for over 4,000 years to promote health and as healing agents. It has been estimated that as much as 90% of all modern pharmaceutical drugs have been synthesized from herbs. Drugs, however, can produce dangerous side effects, and are typically intended to treat symptoms without addressing their underlying causes. There are no known side effects attributed to the use of herbs. Herbs are nutritional foundation nutrients and good alternative medicine to nourish the body’s deepest and most basic elements. Medicinal herbs have been used safely and effectively since the time of recorded history for an endless list of reasons from health, healing and weight loss/gain/maintenance to survival and more. Herbs can offer the body nutrients it does not always receive, either from a poor diet or environmental deficiencies in the soil and air. They are great body balancers that help regulate body functions. ORAC stands for Oxygen Radical Absorbance Capacity. This scientific analysis is a proven method of measuring the antioxidant capacities of different foods. This antioxidant testing method is so accurate that it has been adopted by the USDA Human Nutrition Center on Aging. ORAC scoring measures an antioxidant’s scavenging capacity against free radicals, which have been shown to cause cell damage as well as premature aging of cells, in turn leading to disease. 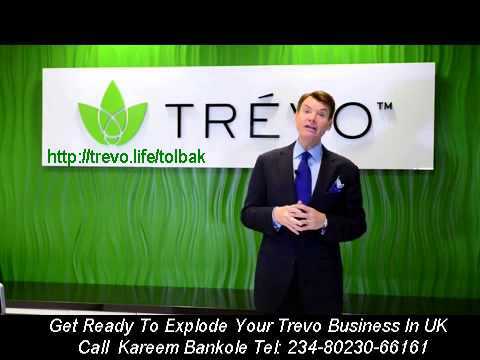 Trévo™ has an extremely high ORAC score of over 373,000 per 32 ounce bottle. That is nearly 12,000 per ounce as certified by Brunswick Laboratories. Polyphenols comprise a set of compound chemicals, including antioxidants, carotenoids, flavonoids, phytosterols and resveratrol, that are found in many foods – from fruits and vegetables to nuts, cocoa, dark chocolate and even red wine. Each type of polyphenol has specific health benefits that help maintain or improve our body’s overall health and ability to function to its fullest capacity on a daily basis. Trévo™ has a high polyphenol content obtained from numerous sources such as grape seed extract, green tea, ellagic acid and many other natural ingredients. Polyphenols have been shown to play a significant role in helping prevent heart disease, heart failure and stroke as well as reducing harmful LDL cholesterol levels. Besides their impressive nutritional profile, sea vegetables offer other health benefits. For centuries, Oriental medicine has recognized that sea vegetables contribute to general well-being and especially to the health of the endocrine and nervous systems. Over the last few decades, medical researchers have discovered a diet that includes sea vegetables reduces the risk of some diseases and helps the body eliminate dangerous toxins. In fact, surveys show that people living in areas where sea vegetables are regularly included in the diet tend to live longer, healthier lives. Sea vegetables are an excellent source of the B-vitamins folate, riboflavin and pantothenic acid, magnesium, iron and calcium. In addition, sea vegetables contain healthy amounts of lignans, which are plant compounds with amazing cancer-protective properties. Most of us are familiar with the minerals our bodies need at high levels, such as calcium, magnesium, potassium and sodium. These minerals, because they are needed by our bodies in significant amounts, are called macrominerals. A number of other minerals, required in much smaller levels by our bodies but no less important to good overall health, are known as trace minerals or microminerals. Trace minerals are usually found at extraordinarily small levels in our bodies, in the parts per million range. In spite of their relatively low concentrations in the body, scientists are discovering that trace minerals play an increasingly vital role in our health, including bone and joint health as well as cellular energy. Trévo™ contains a full complement of essential vitamins, which are nutrients required for vital metabolic reactions in the body. The term “vitamin” does not include other essential nutrients such as dietary minerals, essential fatty acids or essential amino acids, nor does it encompass the large number of other nutrients that promote health but which are not essential for life. Vitamins are bio-molecules that act both as catalysts and foundational surfaces in the body’s natural chemical reactions. When acting as a catalyst, vitamins are bound to enzymes and are called co-factors. For example, vitamin K forms part of the protease enzymes involved in bloodclotting. Vitamins also act as co-enzymes to carry chemical groups between enzymes. For example, folic acid carries various forms of the carbon groups methyl, formyl and methylene in the cell. Until the 1900s, vitamins were obtained solely through food intake. Therefore, if the only source of vitamins is food, nutrient-depleted soil can dramatically affect the quality and amount of crucial vitamins available through that food. Additionally, many food sources contain drastically varying ratios of vitamins. The first phase is called “Restore.” It is designed to restore vital energy and mental focus naturally by stimulating your body with a myriad of powerful nutraceuticals including fabulous energy-enhancing botanicals and superfruits such as gotu kola, ashwagandha, borojo, bacopa, schizandra fruit, Korean ginseng, and noni fruit. We have also included energy boosting essential vitamins and minerals, amino acids, plant and sea trace minerals, Co-enzyme Q10, alpha lipoic acid, and grape seed extract. Our 2nd phase is called “Renew.” It is designed to renew your body with a proprietary phytonutrient-rich blend of life-giving fruits, vegetables, and sea vegetables as well as essential fatty acids from borage seed oil and flaxseed oil. Plus it features chlorella, blue green spirulina, barley grass, kelp, and wheatgrass, which are all referred to as green superfoods. Our 3rd phase is called “Revive.” This phase is designed to revive your body’s anti-aging and immune function support with exotic, free radical-fighting super-antioxidants such as camu camu, maqui berries, mangosteen, acai berries, amalaki fruit, acerola cherries, and goji berries. We have also included potent coral calcium complex as well as phytonutrient-packed herbs like ellagic acid, graviola, turmeric, green tea, lycopene, milk thistle, pau d’arco, cat’s claw, bilberry, and hawthorne berry. Imagine – all the fabulous nutritional benefits of the very best ingredients nature has to offer all in one delicious formulation. Trévo is quick, it’s easy, and it works, without any artificial sweeteners! That’s right; the naturally delicious flavor of Trévo is derived from its wonderful fruit ingredients. Starting your children on Trévo during their crucial developmental years provides an excellent foundation for vibrant health and longevity. Without proper nutrition, children in this age group face a significantly increased potential for developing life-threatening and obesity-related diseases and attention deficit problems. By making Trévo a part of your children’s daily regimen, however, you can enjoy the peace of mind of knowing that your children are receiving optimum nutrition each and every day. Lack of energy, mental focus and attention deficit problems are common among people in this age group. As in the younger group just mentioned, nutrient-depleted food and poor nutritional habits are among the prime contributors to the high occurrence of disease that plagues this age group. And, as with the younger age group, Trévo provides the nutrition needed to enjoy vibrant good health, enhanced mental focus, increased energy and much more. A significant rise in cancer, osteoporosis and Alzheimer’s disease, as well as a number of other life-threatening and debilitating diseases, has been noted among this age group. As activity levels decrease among these people, appetite also decreases. This commonly results in dangerously reduced nutrient levels. Such low nutrient levels create a huge need for the super-nutrition available in each and every delicious ounce of Trévo. Two ounces of Trévo’s super-nutrition per day activates your body’s response to the positive effects of Trévo. This activation level can be enjoyed in one or two ounce servings per day, with or without food. Children between the ages of 2 and 12 should consume 1⁄4 ounce for every 20 pounds of body weight, not to exceed one ounce per day. Trévo Gives You High-Quality, Eco-Friendly “Liquid Health In A Bottle”! • Trévo embraces current efforts to preserve our planet and her resources. The Trévo™ packaging is completely bio-degradable, ensuring that our bottles will never contribute to the increasing dilemma of landfills overflowing with non-biodegradable plastic bottles that will still be intact hundreds of years from now. • All of our product’s ingredients are 100% vegetarian and a number of these high-quality natural ingredients are even certified organic. • Trévo’s one-of-a-kind nutraceutical product is blended and bottled in a CGMP (Current Good Manufacturing Practices) facility. This facility not only meets but exceeds the FDA’s Code of Federal Regulations.